Spring has finally sprung in New England. 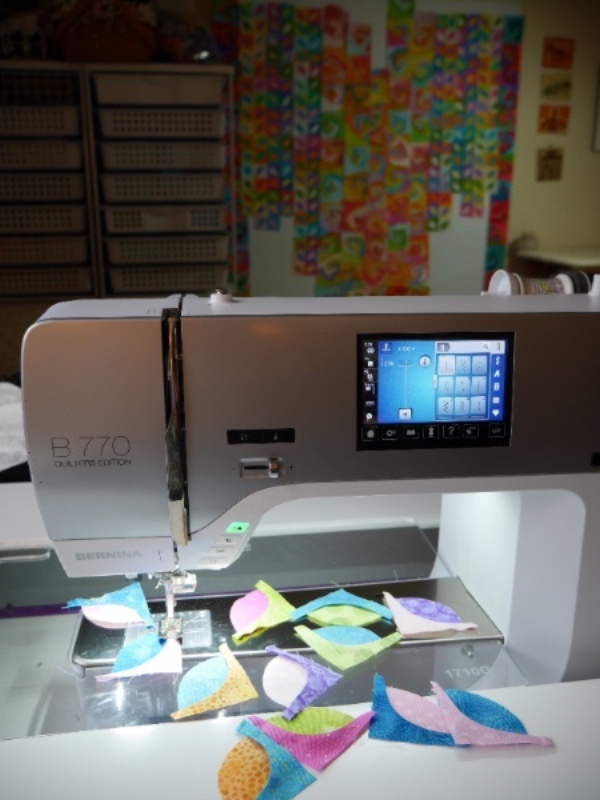 April is bringing it’s share of rainy days, which I LOVE for staying inside to quilt! 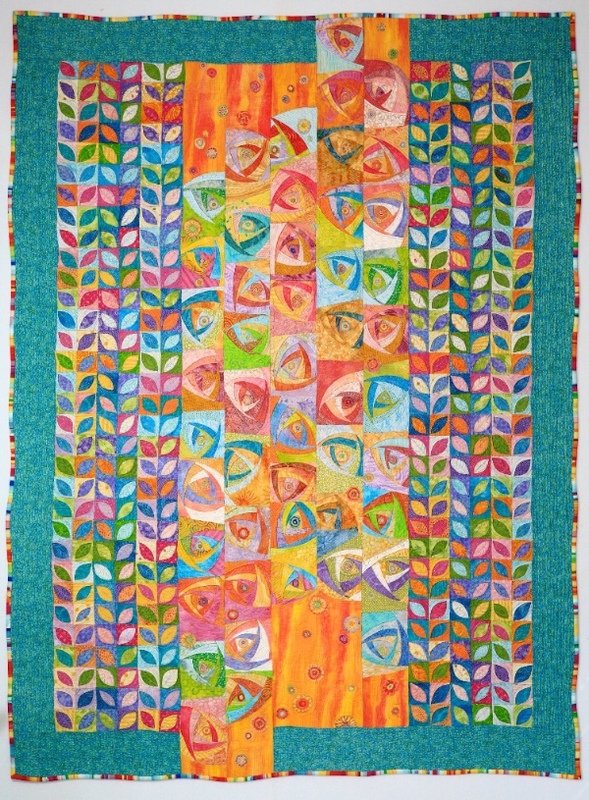 This year celebrates my 20thanniversary of experimenting with my layered topstitch piecing technique to create curves and angles. 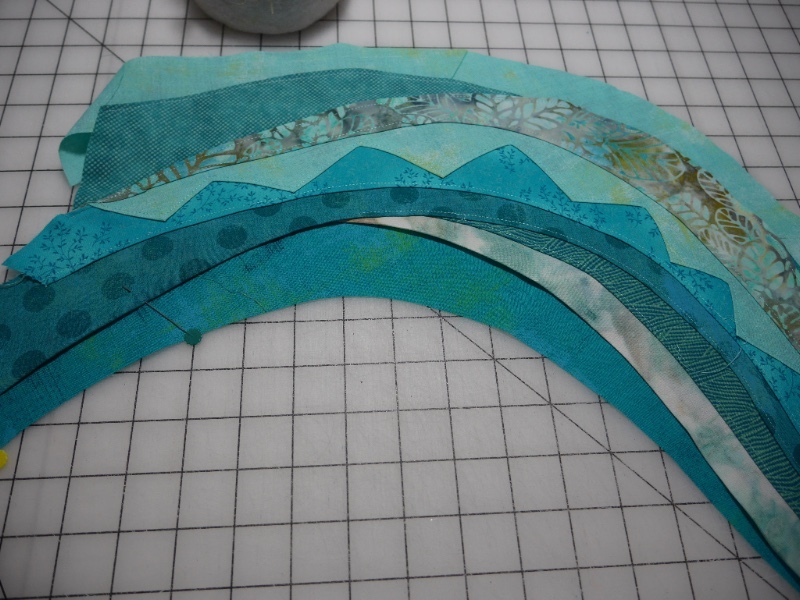 I am still having so much fun with the possibilities….from landscapes to log cabins to waves to wear! Here’s what I have been up to in the last few months. 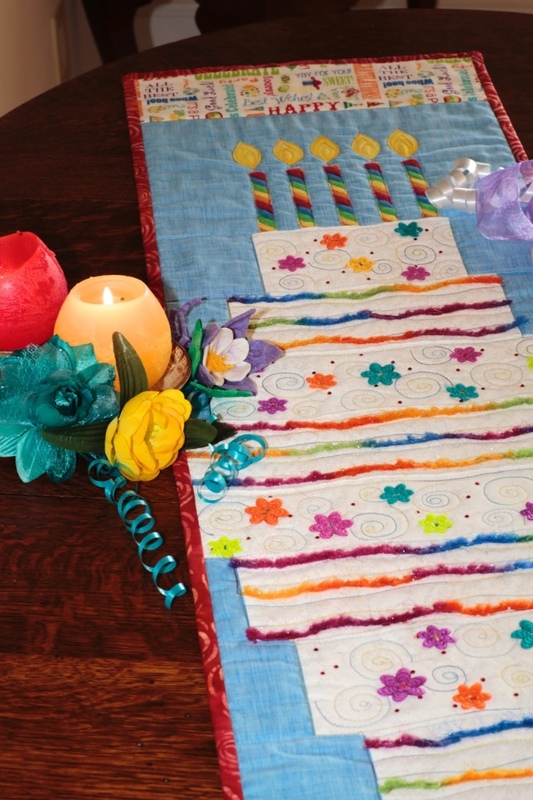 The finishing touch is a wiggly binding, which makes it approximately 42” x 57”. 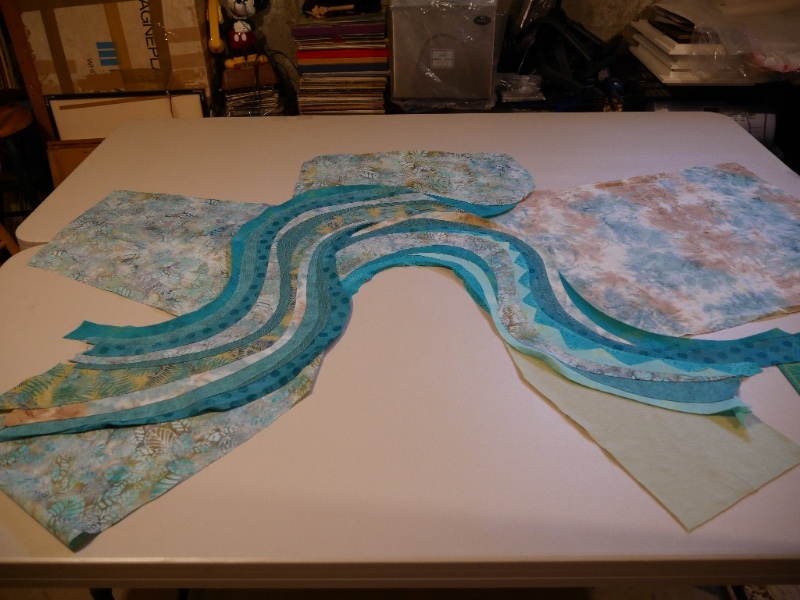 Here are a few shots of the process of making the Layered Leaves, a close up of the “Twirls” with Kaffe Fasset millefiori centers and the full quilt. 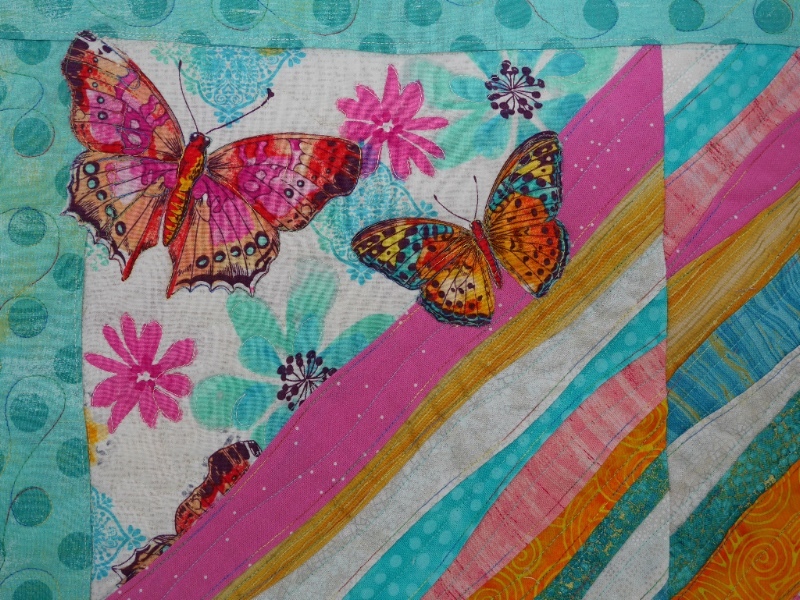 Do you remember the fabric selection from the last newsletter? Of course you don’t, but in the next photos you will see what they look like as my new “Wild Women” jacket and skirt. (Wearable Waves book: pages 54 -59). Most people are totally surprised that my Wearable Waves jackets are based on a sweatshirt. It’s an easy pattern piece, simple to take apart and put together again AND it’s a comfortable fit. Here’s the process. HINT: First before you do anything, go to the local office supply store and get a spiral ring binding punched into your book binding. It only costs a few dollars. This keeps the book open to the page you want and also preserves the binding of the book. 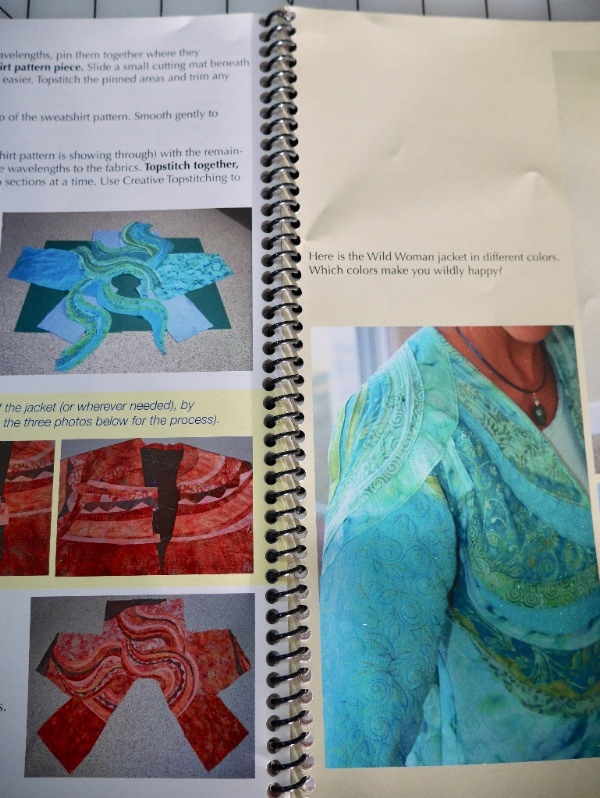 Cut open the sweatshirt and re-baste the shoulder and arm seams as instructed on page 13 in the Wearable Waves book. 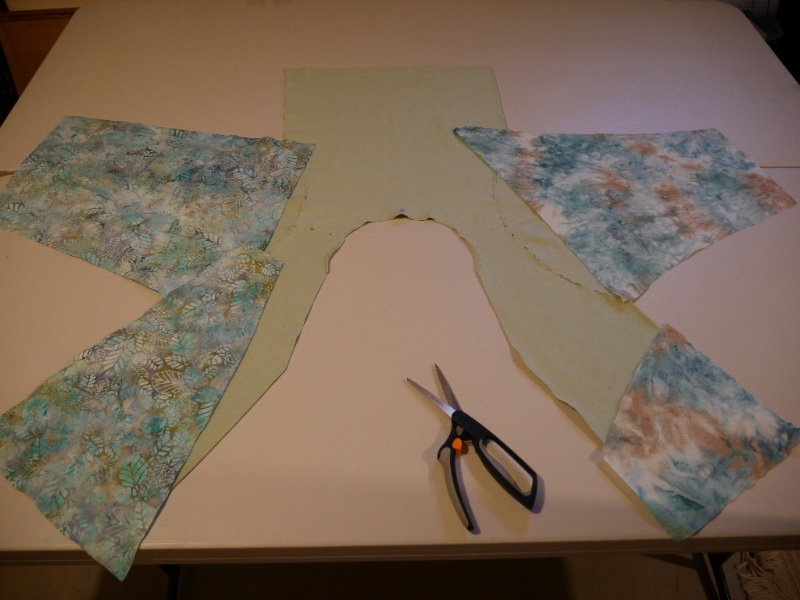 Add large pieces of fabrics for to cover the sleeves, front and back. 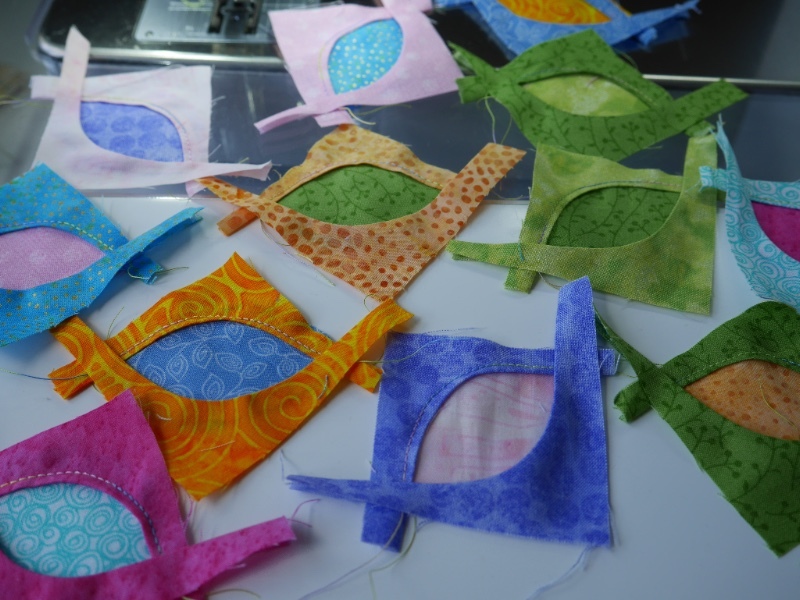 Make a few “wavelengths” – topstitched curves and triangles. 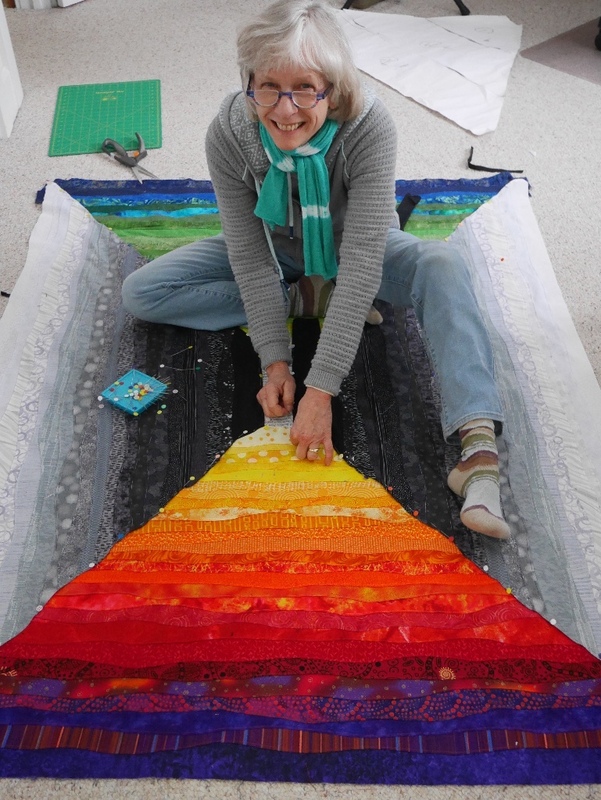 Add these wavelengths to the larger pieces of fabric on top of the sweatshirt patten base. Once the sweatshirt is covered, pin baste the fabrics to the sweatshirt and turn over to trim. 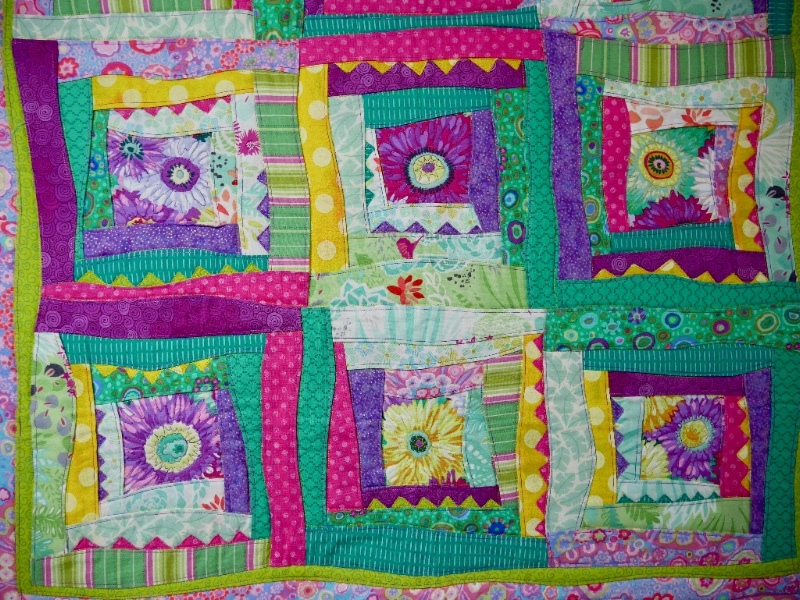 Ready to quilt. and have fun wearing your waves! Directions for the skirt are on my YouTube channel under Sweet Summertime skirt. 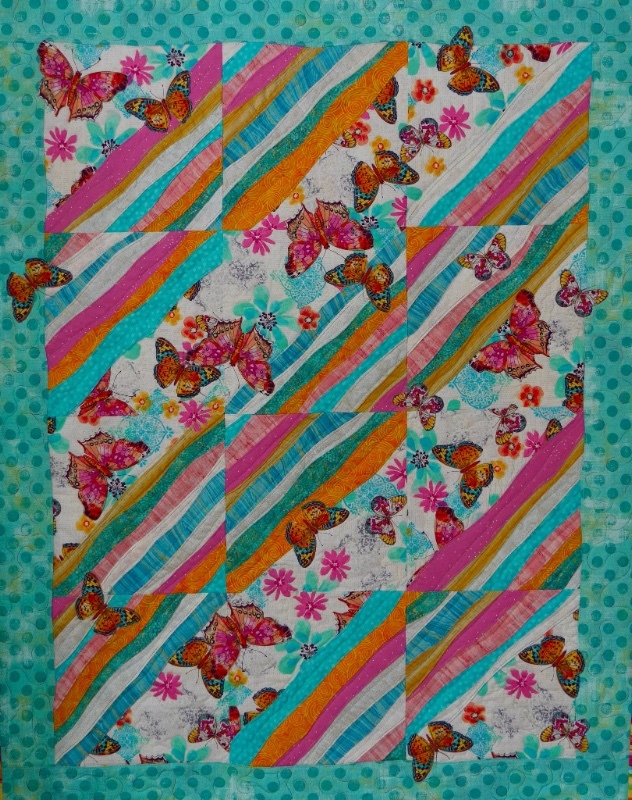 “Into the Light is a very large Layered Log cabin block (topstitched with gentle curves) with a gradation of warm and cool colors on the top and bottom and a contrasting gradation of black to gray to white on the sides. 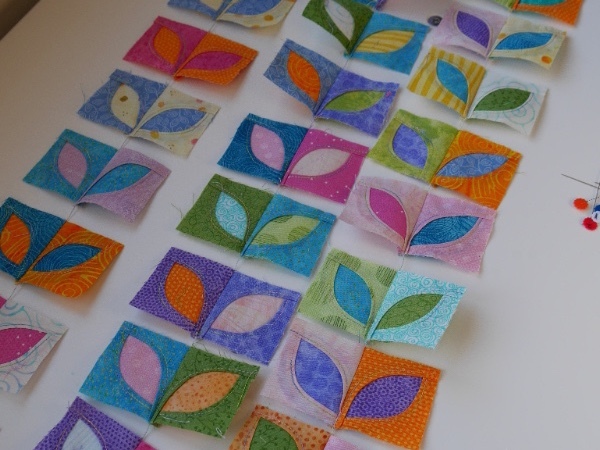 I started quilting on April 6…..each day I do 2-4 hours of intense quilting, so I’m up to 46 hours of quilting so far. 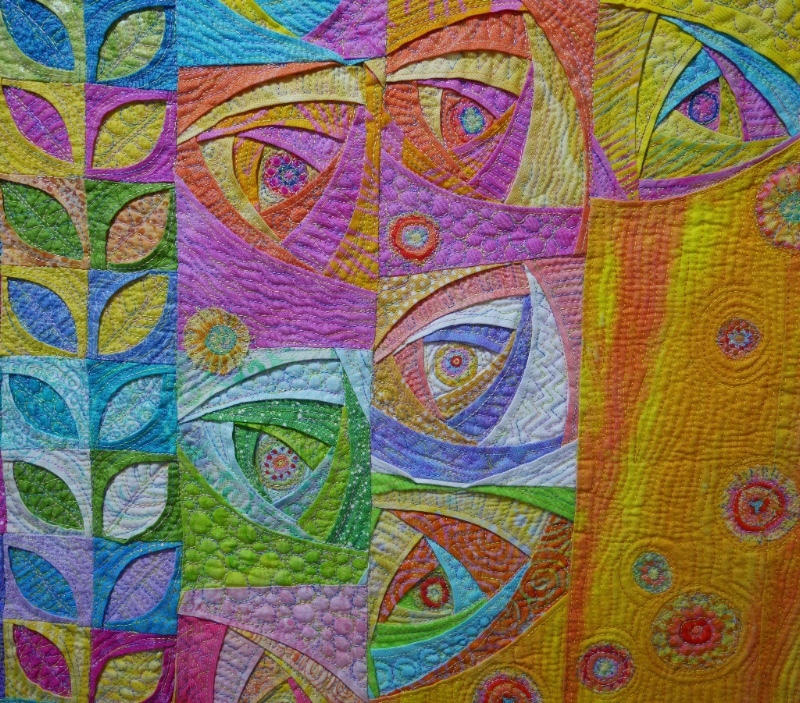 I hope to finish next week, because the deadline for the International Quilt Festival in Houston, TX is May 31. That’s still a month a way, but I will be teaching in Georgia, New Jersey AND be away on vacation for 2 weeks in May, so time is of the essence to finish soon!! 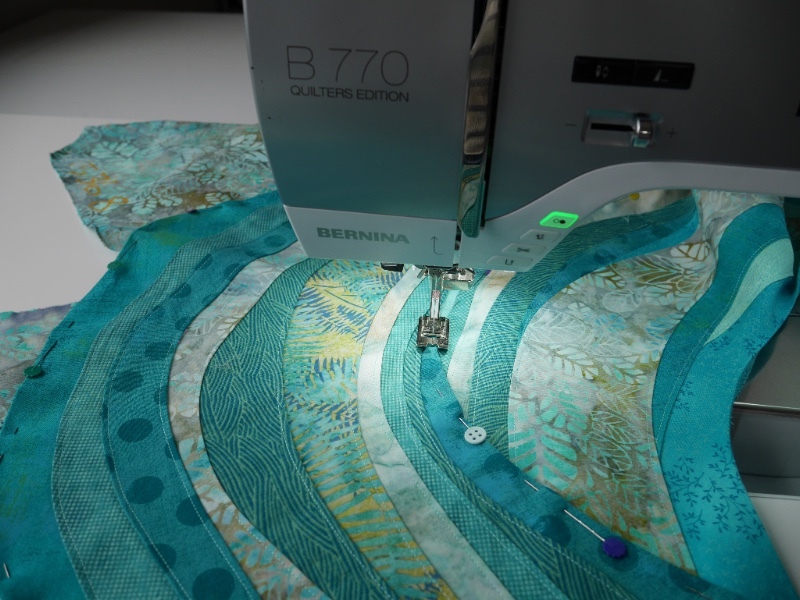 Here I am pinning the sections together and here’s a close up of the quilting. 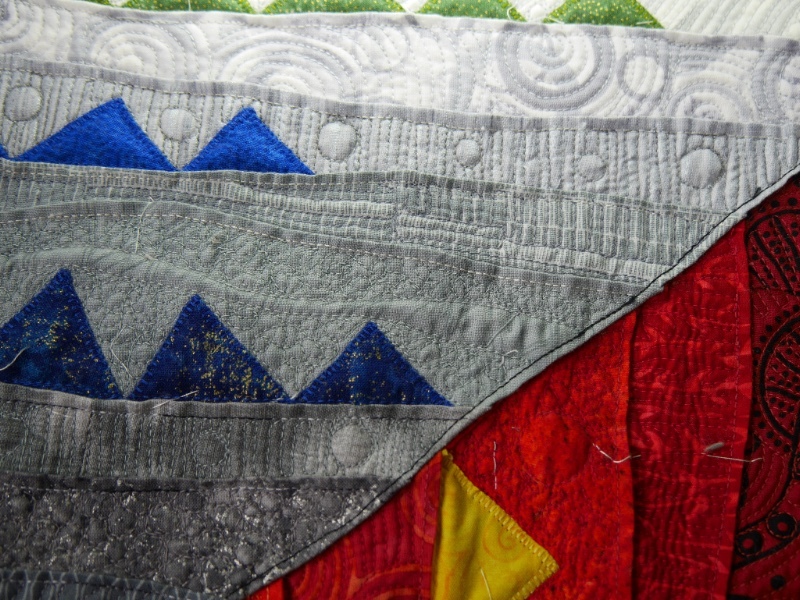 In the close up photo, you can see that I added little triangles to add movement and energy to the piece. More to follow in the Summer newsletter. I hope that one of the workshop dates and venues will work in your schedule so we can meet again or meet for the very first time. 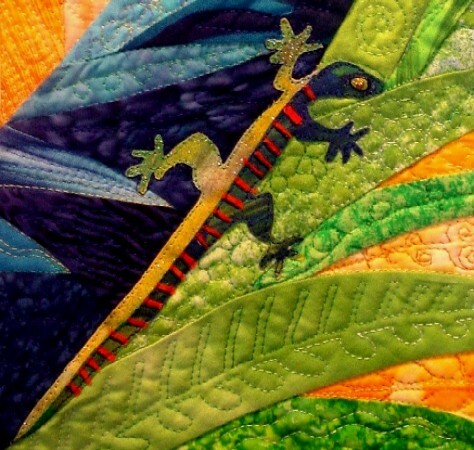 The Color Twists & Leaves workshop has a few spots still available. but the Wiggles & Collage and No-Bake workshops have LOTS of spaces. 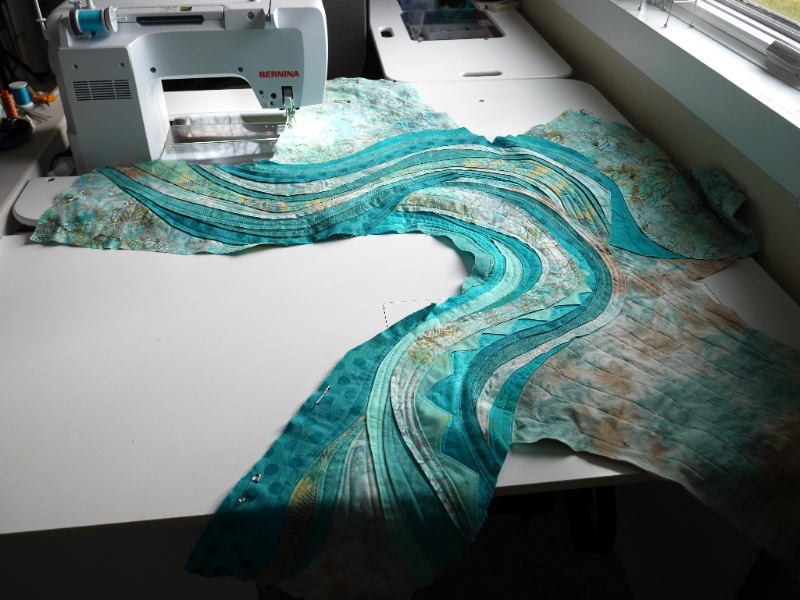 Please sign up and I promise we will have a great time making gentle topstitched wiggles and waves! 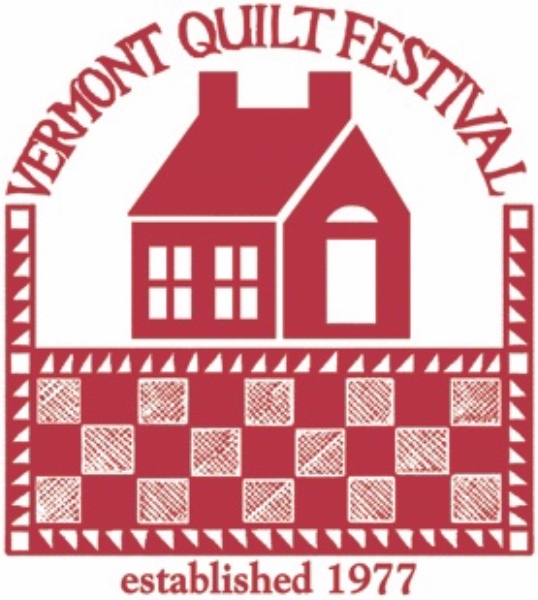 *Quilters of the Hudson Highlands, Cornwall, NY March 15 (lecture TBD)…possible workshop on March 16.